Attwood® Swivel-Eze Clamp-On Boat Seat Swivel. Set your seat up with 360° spin! 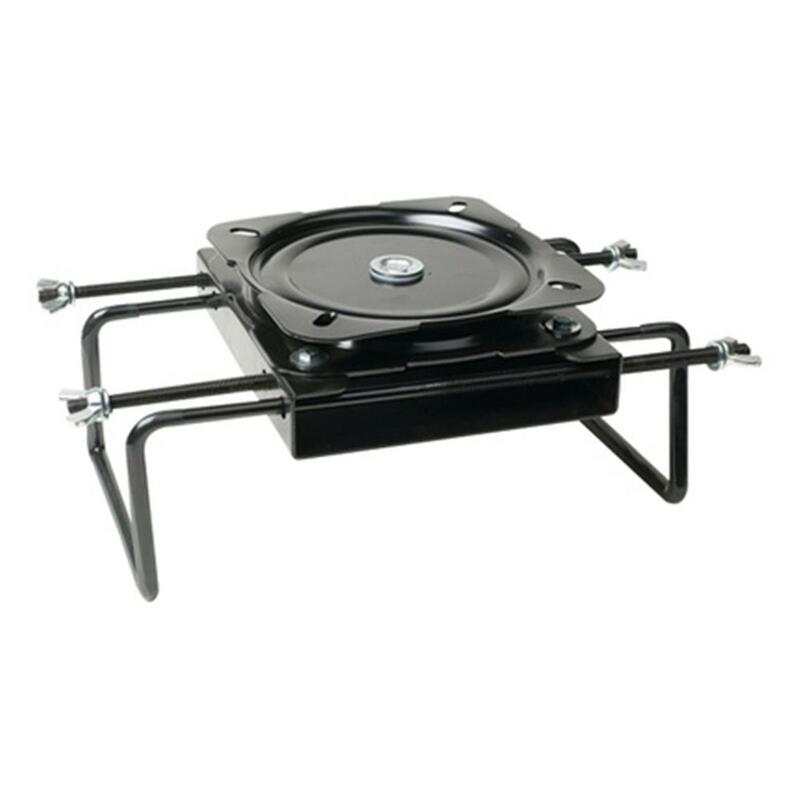 Get this adjustable Seat Swivel for convenient full-circle movement on your boat seat! 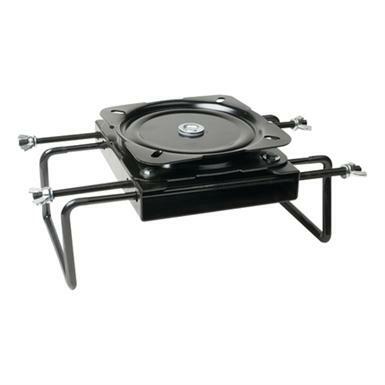 Features black-powder coated aluminum construction that's built to resist corrosion for on-the-water use. Adjusts from 7 1/2" to 18" wide for compatibility. Attwood Swivel-Eze Clamp - On Boat Seat Swivel is rated 4.5 out of 5 by 16. Rated 5 out of 5 by G.R. from Excellent product-this is my second order. Fits well on bench seats of old fishing boat I am working on. Allows me flexibility of seating and was much easier to install than traditional swivel mounts. Appears to be well engineered and sturdy. Rated 5 out of 5 by CLAUDE from decent product. Holds okay but will need to add a few screws on the bottom of each clamp where it clamps on the seat for a really secure fit. Wants to slide off. Swivel works great. Rated 5 out of 5 by RUTH E/CURTIS C from Priced right. Haven't had a chance to use them, but they attached properly. Rated 5 out of 5 by WILLIAM from I've used these before and they work well. It's already mounted on the seat I purchased a feww weeks earlier. A very good buy. Rated 5 out of 5 by LESLIE from Swivels are great. I needed clamp ons because I can't screw into the boat. I can turn any direction I want to fish and still have the full seat support. Rated 5 out of 5 by MARK P. from Have not been on the water yet, but it seems like it's well made and should work great! 120"l. x 54"w., 166 lbs. Squeeze in where other bass boats can't. Comfort and quality at a great price.